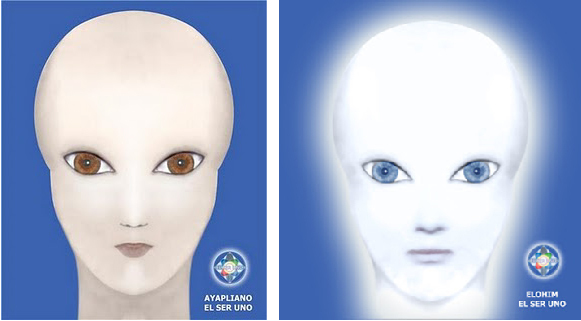 Our Elder Brothers called AYAPLIANOS are the authors of the books EL SER UNO who started to transmit this Knowledge via telepathic channeling as of 2002. The Ayaplianos belong to the Eighth and Ninth Hierarchy of Antimatter Reality of Alpha Centauri, which we know as Spiritual Reality, but which they call BEINGS of ENERGY or BEINGS of LIGHT. They have tall and slim bodies of a delicate texture, hairless heads with prominent foreheads, big, slanted, blue, green or brown eyes with a compassionate but firm look, small nose and ears. It is hard to tell their age and to distinguish male from female individuals. They have to present themselves through holograms since their bodies are unable to stand the conditions of our dense reality. 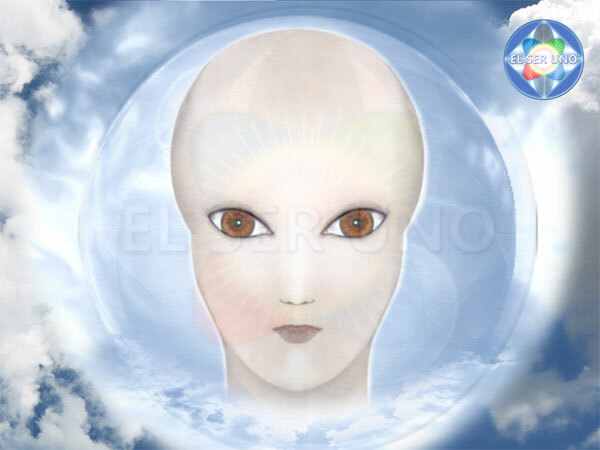 They communicate through telepathy using vibration, rhythm and images. Our brothers are telling us that we all are Ayaplianos of one origin, which is The One Principle, our creator. Upon expanding through colonization in the many grades, planes and dimensions of the universe the human species, however, developed specific characteristics for particular environments. 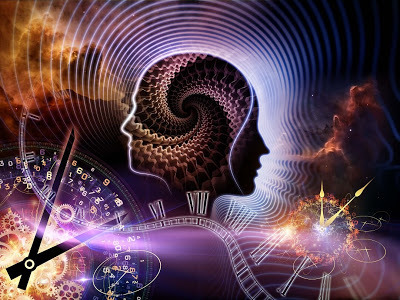 Upon knowing who we are, where we came from and where we are heading for we will have the unique opportunity, though subject to merit, to prepare for our participation in the extraordinary event called The Cosmic Alignment, during which we will be able to transcend our planetary limits and advance to higher realities. EL SER UNO I – The Arcana of Thoth – by the Ayaplianos of the Eighth and Ninth Hierarchy of Antimatter Reality (Spiritual) of Alpha Centauri. EL SER UNO II – Planet 3.3.3. – The Guardians of Tera – by the Ayaplianos-Volunteers of the Eighth and Ninth Hierarchy of Antimatter Reality of the Pleiades. These volunteers had come to cure the planet from a dreadful disease called: Distortion. Their habitat are two antimatter spacecraft situated in the magnetism of the poles. EL SER UNO III – The Seramitas – The Long Path of Return – by the Ayaplianos-Seramitas of the Eighth and Ninth Hierarchy of Antimatter Reality (spiritual) of Planet Tera. 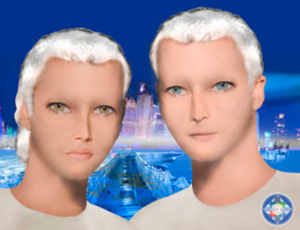 They are descendants of the Ayaplianos-Volunteers and live in the Antimatter-Internal City of the planet. The Internal City has four grades: Sixth, Seventh, Eighth and Ninth. The Seramitas of the sixth and seventh grade are those we know as the Ascended Masters. EL SER UNO IV – Cosmic Alignment – 7 Thousand Years of Preparation – by the Ayaplianos-Interanos called ELOHIM. These Elder Brothers have been in charge of the planet and its inhabitants at all times and live in deep quartz caverns under the South Pole. This is the first time that they present themselves before us. EL SER UNO V – The Interanos – The City of Crystal – by the Ayaplianos-Seramitas, Ayaplianos-Elohim and Ayaplianos-Interanos. The Ayaplianos-Interanos are living in two realities: Antimatter World and City of Atlantis. The Antimatter World shelters the disincarnated Brothers Interanos while the incarnated Brothers Interanos live in the City of Atlantis with subtle physical bodies. Atlantis is a Spacecraft-City and its occupants are called: Atlantes. While the Brothers Seramitas and Elohim have been working hard for the elevation of our psyche (soul), the Brothers Interanos helped us with the evolution of our physical body. As you keep on reading you will get a better understanding of their specific assignments and thus have no problem to distinguish them. We, beings of planet Tera, are known in the universe as Ayaplianos-Humans. We are descendants of the Ayaplianos-Volunteers and Seramitas and have suffered most from distortion because we kept staying in the exterior. Through innumerable experiments mixing their DNA with ours they are on the way of rescuing us. This is why we one day will represent again Ayaplianos characteristics. The above image will give you an idea how we may look in a distant future. We shall make it back to our origin, not only mentally but also physically. EL SER UNO VI – The Siren-Lemurianos – City of LIGHT and LOVE – The AYAPLIANOS-SIREN-LEMURIANOS are depicted in ancient scriptures and called sons of the gods with legendary powers. Yet there was no evidence of them ever and the deep of the sea continues a mystery. A great many marine species so far remain unknown. But the legend considered them monstrous creatures with big bulgy eyes, razor-sharp teeth and terrifying roars. What really happened is that they developed during millions of years their true Ayapliano nature and we have no doubt that they nowadays are prepared to continue their evolution and elevation to finally find the way back to their origin. 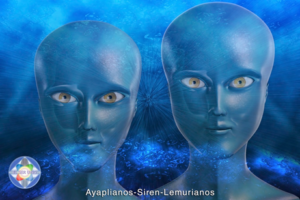 The BROTHERS AYAPLIANOS SIREN-LEMURIANOS said to be the Siren are actually the Lemurianos whose origin are the Pleiades and who arrived on this planet some 300 million years ago.